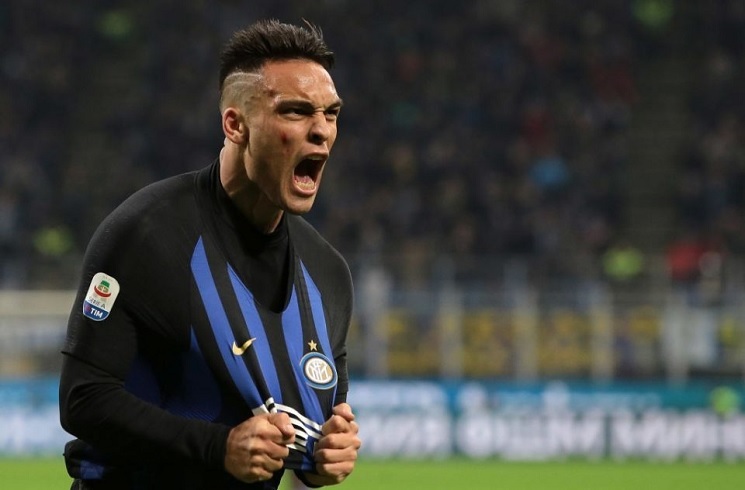 Lautaro Martinez celebrating a goal for Inter. Lautaro MARTINEZ, Rodrigo DE PAUL and Joaquin CORREA all scored for their clubs. 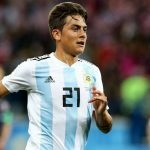 Beginning with Inter, Lautaro MARTINEZ started ahead of Argentina team mate Mauro ICARDI and managed scored in Inter’s 3-0 win against Frosinone. A cross came into the area which found Lautaro as he headed it into the back of the net. The goal was Lautaro’s second of the season. Rodrigo DE PAUL scored the only goal of the match, the winner for Udinese in their 1-0 victory against AS Roma. A lovely dribble through the Roma back line by DE PAUL who followed it all with a shot over the goalkeeper was enough to win it for Udinese. Ignacio PUSSETTO also started the match for Udinese while Federico FAZIO started for Roma. Joaquin CORREA came on for Lazio and scored in the 93rd minute to rescue a point for Lazio in their 1-1 draw against AC Milan. 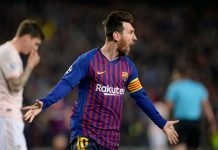 CORREA started the match on the bench and had an impact as his half volley from the egde of the penalty area went in and gave his club the point.